Jesse Falk - Buddha Beach Yoga & Co.
Jesse is a devoted yogi on and off the mat and yoga has been a thread, weaving through her life, for the past 20 years. Through her life journey, she has come to appreciate the simplicity of life, finding beauty and grace in all that the universe offers to her. Her spiritual guides and yoga mentors have helped her on her path to finding a yogi lifestyle. 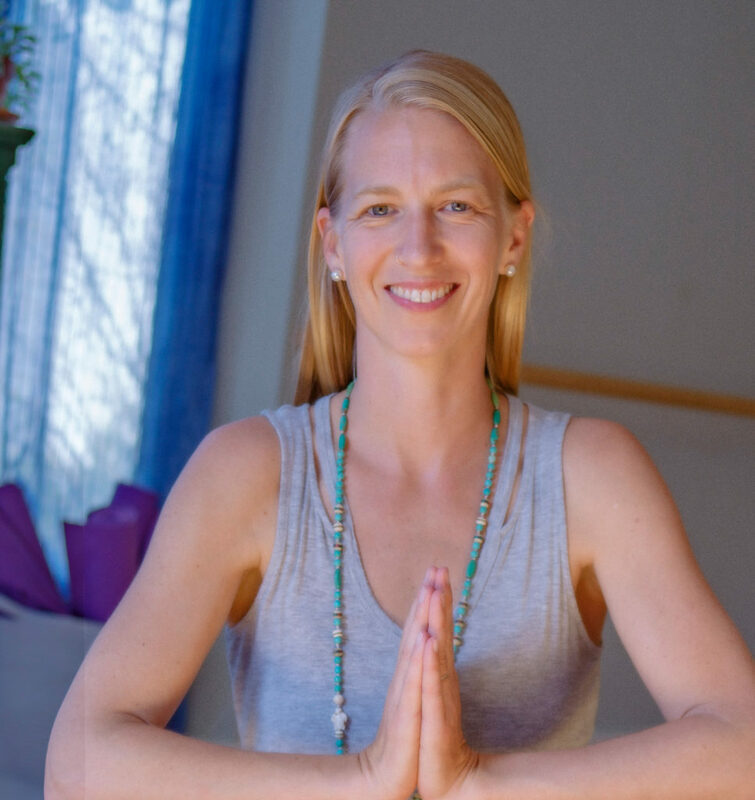 After training with Shiva Rae in Prana Flow Yoga, and Maria Garre in Prana Flow with a focus on Ayurveda medicine, she found her yoga voice and began sharing her practice with others in the forms of classes and spiritual retreats. Jesse has certifications in Synergy Partner Yoga, Reiki, Thai Bodywork and has life-long studies of Buddhism & Hinduism. Jesse has been Yoga Alliance certified since 2009. Combining her love of yoga and surfing, she also co-founded Omocean Yoga Surf Retreats, while living in El Salvador. Her passion for international travel has led her to many different styles of workshops, retreats and experiences that are shared and integrated throughout her classes. Due to this versatility, her dynamic classes speak to all levels and backgrounds of yogi practitioners. Jesse enjoys the challenge of modifying routines to allow each participant to get what they need from their personal yoga practice. Her positive personality and easy going attitude allow her students to shed their self-consciousness, relax, and find their own personal rhythm with yoga. Jesse admires and cherishes Sangha, or great community love, that is present in our local yoga community.